The biodiversity of two Northern Pacific salmon species may be at risk due to changes in ocean conditions at the equator, reports a study by the University of California, Davis. 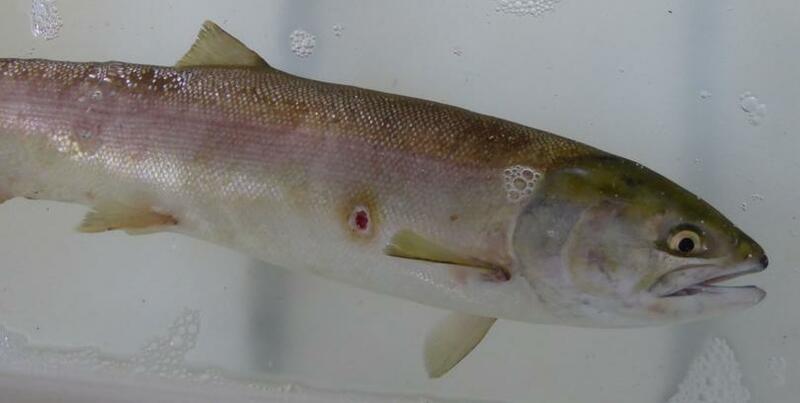 In the study published in the journal Proceedings of the National Academy of Sciences Aug. 3, researchers tracked the survival of chinook and coho salmon from hatcheries in North America between 1980 and 2006. Before the 1990s, ocean survival rates of chinook and coho salmon varied separately from each other. However, the researchers were surprised to find that survival rates of the two species have since become increasingly similar. "Two species that historically have had different responses and seem to be very different in their coastal-wide patterns now appear to be more synchronized," said lead author Patrick Kilduff, a postdoctoral scholar under Louis Botsford in the UC Davis Department of Wildlife, Fish and Conservation Biology at the time of the study. "When salmon populations are synchronized, it's either good for everyone or bad for everyone--similar to the stock market." From an economic perspective, it means that when catch of one species is low, catch of the other also will tend to be low. This synchronous response to ocean conditions represents a loss in biological diversity that cannot be addressed directly by freshwater management actions, the study said. It's not yet well understood what is causing the increasing similarity, but the researchers said it could reflect a change in coastal ocean food-web linkages or perhaps a change in the salmon species themselves. Historically, many Pacific salmon species were thought to be influenced by the Pacific Decadal Oscillation (PDO), an El Nino-associated eastern Pacific warming pattern. As the nature of El Ninos has changed, another ocean indicator, the North Pacific Gyre Oscillation (NPGO) has grown increasingly important, but its impact on salmon was not well-understood. This new study found that coho and chinook salmon survival rates along the West Coast are more strongly connected to the NPGO than to the PDO. "Changes in equatorial conditions lead to more of the large-scale Pacific Ocean variability being explained by North Pacific Gyre Oscillation, and it's influencing the survival of salmon from Vancouver Island south to California," Kilduff said.